1 week. 1 life-changing experience. 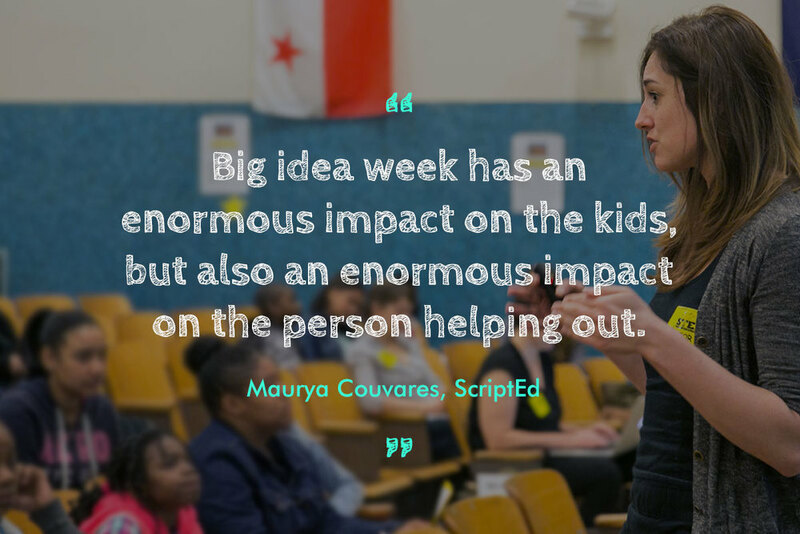 Being a Big Idea Week mentor means giving back to the community and influencing the next generation of makers and doers. You'll volunteer only a few hours of your time, but will have the chance to make a lasting impact on the students, the school and the community. Big Idea Week seeks STEM (science, technology, math and engineering) and design professionals to volunteer their time. Please note: Big Idea Week is working with one school for 2017 to focus on curriculum and assessment improvements, and recruited a small group of volunteer mentors to support this year's program. We look forward to bringing the program to a wider school audience and involving a broader mentor cohort in the future! In 2015, 40 local professionals worked with 10 schools—and inspired and motivated over 500 students in the process.